Rider Interview: Yes, New Zealand! That's maybe an Australian flag that Jordan Kerby is holding proudly aloft, but the one-time World champion is now wearing the black of New Zealand. Ed Hood gets the whole story of the track fast-man from Queensland in Australia via Wellington in New Zealand. With the Tour Down Under finishing on the same weekend the fifth round of the UCI Tissot World Cup in Cambridge, New Zealand was always going to come off second best in the publicity stakes. 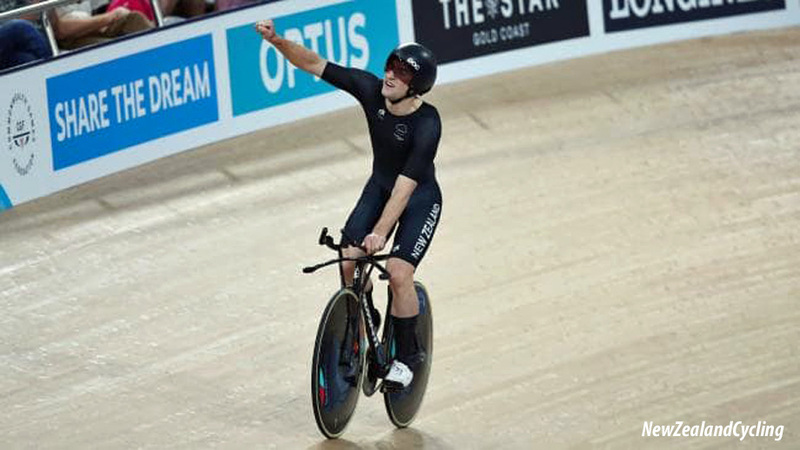 The ‘but’ is that the Kiwi team pursuit, on home ground recorded a stunning 3:50:159 ride, just shy of the Aussie’s 3:49:804 world record set at the Commonwealth Games, last year. 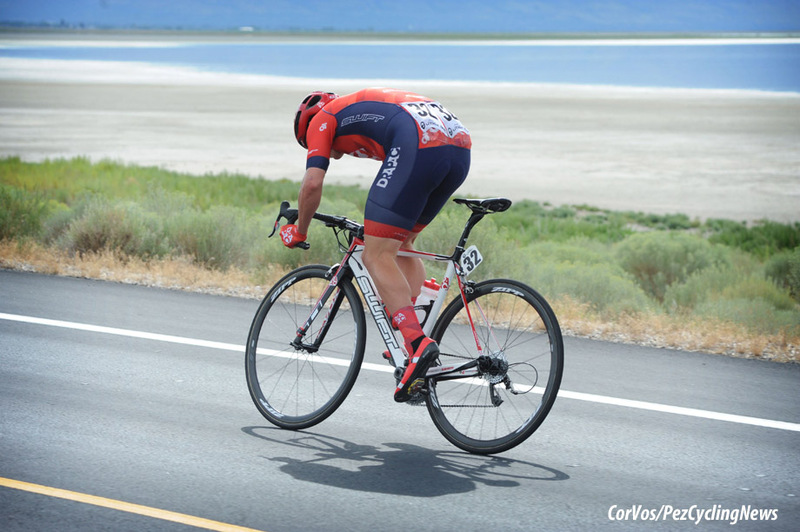 The second fastest ride in history was all the sweeter for one team member in particular, 26 year-old Jordan Kerby. 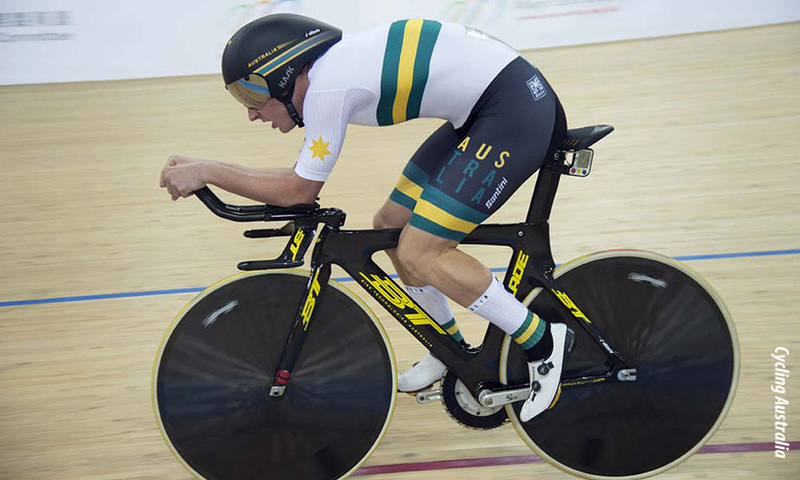 Kerby was World Individual Pursuit Champion in 2017 but with an Australian speedsuit on his back. 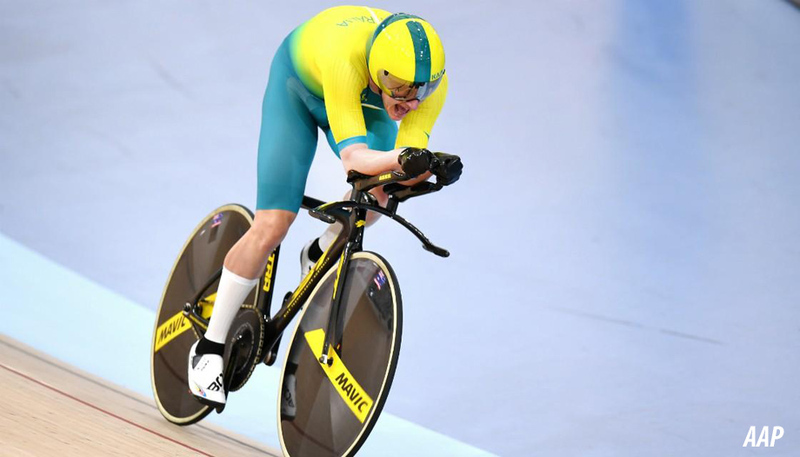 Last year however, Cycling Australia decided that he was not a part of their plans for Tokyo, 2020. Kerby disagreed, took advantage of his mother’s New Zealand nationality and changed from gold and blue to black. The Kiwi coaches agreed with him that perhaps he hadn’t, ‘gone as far as he could go’, he became part of their team and it took just 3:50 to confirm the wisdom of their decision. 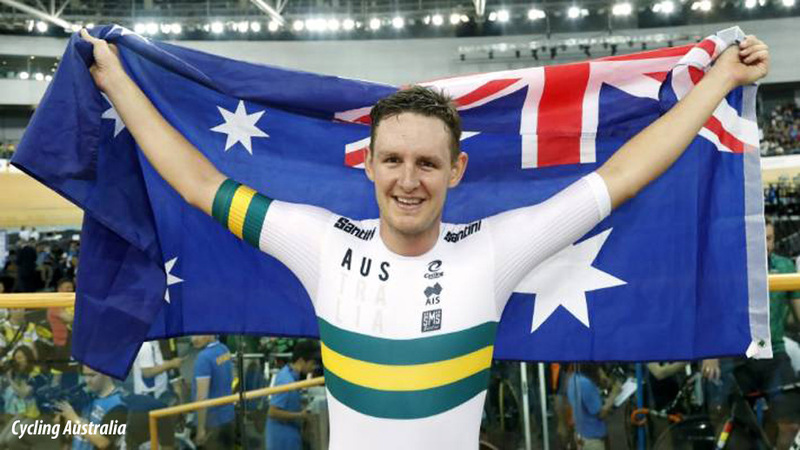 PEZ: Congratulations, Jordan - did Cycling Australia give you any reason for dropping you from the Tokyo programme? 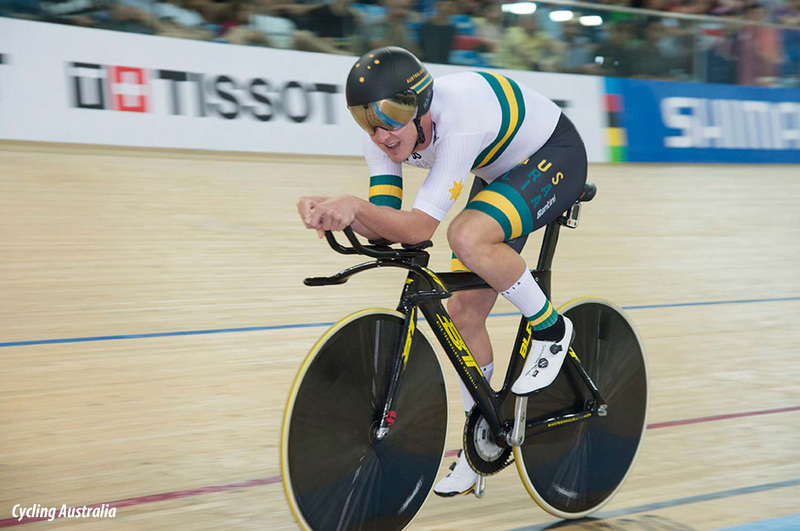 Jordan Kerby: The main reasoning given was the opinion that I would not improve and would not be good enough for the Tokyo Olympics. PEZ: It must have been a big decision to change allegiances? It was pretty black and white (no pun intended), there was a clear opportunity for me to still be considered for the Olympic Games so I jumped at it. The major question was whether I had the time and resources to make it happen. It's a lengthy process with a lot of paper work. I have a lot of people to thank for their help in the process. PEZ: But your mum is Kiwi and you have family there? My mother's whole family are from Wellington, as for family, there might be some long lost relatives but all my close relations are currently in Australia. PEZ: How was the process of acceptance with the New Zealand team? I thought there would be some kick back but there wasn't. I was welcomed with open arms. It was as simple and as easy as something so 'big' could have been. JK: I'm between Brisbane and Cambridge at the moment. I consider them both home! I'm lucky enough to get two home World Cups in 2019 with Cambridge and Brisbane, both in December. PEZ: Is there much of a difference between the Oz and Kiwi cultures? PEZ: Have you attracted any negative comment from Australia? Not really, I've received a lot of positive comments, not many negative ones. I'm still in touch with my Aussie team mates all the time. They're great guys who I have developed strong friendships with, naturally they are happy for me. I've managed to maintain positive relationships with staff as well, which is pleasing. PEZ: How different is the NZ training regime from the Australian one? I assume that most high-performance programs are pretty similar, especially with Aus and NZ being such similar cultures. The key foundations and training principles remain the same. It's the small gimmicks and ‘one percenters’ that vary from country to country. Both programs offer great auxiliary staff i.e. physios, nutritionists, psychologists. PEZ: And how different is the hardware - what did Cycling Australia go on to after they ended the relationship with BT in 2018? - and are NZ still on Avanti? 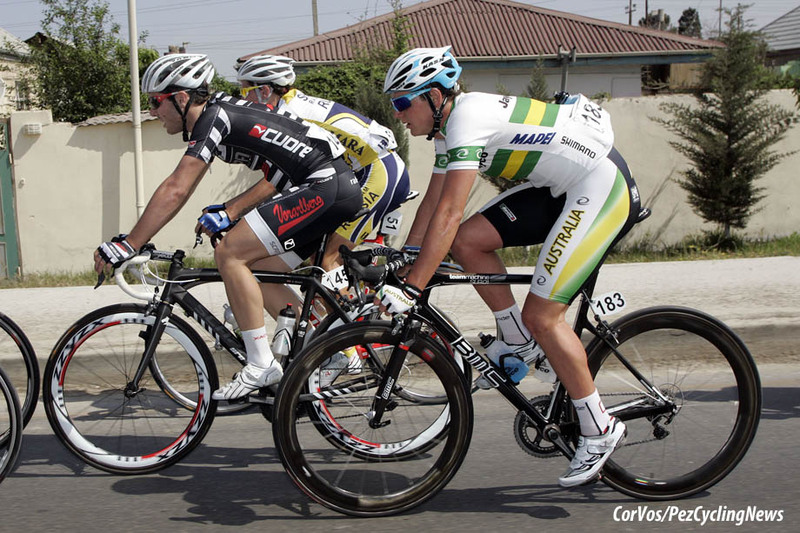 Cycling Australia moved to Argon after I was dropped. So I rode BT on Mavic wheels at CA and now Avanti on Southern Spars wheels at NZ. The main difference between the bikes and wheels is the handling. It takes time to adjust going either way. Both countries use good stuff. PEZ: Can you talk about gearing - or would you have to kill me after you told me? Hah! I probably shouldn't talk about this one for either country. PEZ: You said that the 3:50 ride came as a surprise? The 3:50 was a surprise for us. We were hoping for a 3:53 (The NZ record). So to beat that twice in one day, at a World Cup, was a big morale booster for the boys. PEZ: On a lot of occasions these days the fastest ride comes in qualifying but yours was three rides in. . .
Yeah we weren't flat stick in the heat at the World Cup. We were hoping to qualify in the top two teams given we were about the eighth team to start, and then we planned to build on it from there. In round one and the finals there are other teams on the track, which makes it faster. PEZ: The world record must be in your sights? Nope, not really. We just want to continue to improve regardless of what the WR time is. PEZ: The general standard of team pursuiting has improved dramatically recently with Italy, Canada, Switzerland and the USA among those going so much quicker - why do you think that has happened? 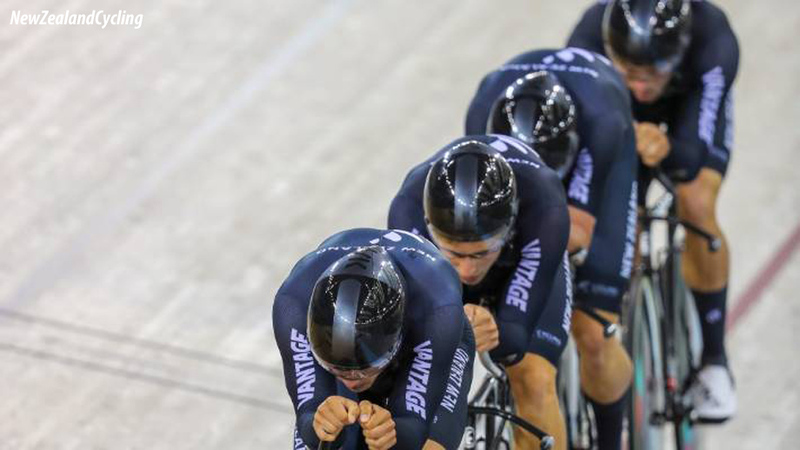 I think national programs in general have become more focused on the Team Pursuit. 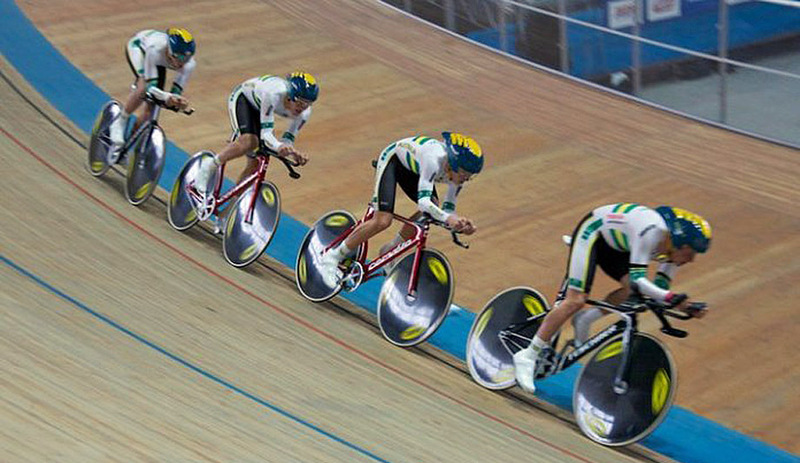 Team pursuit is the easiest event to control with regards to what’s on offer at the Olympics. That's why so many countries now focus on it. There's a great deal of knowledge out there that’s accessible. Technology is getting faster and more accessible too, I think with this the gap between the faster and slower teams is getting smaller. PEZ: Are your individual ambitions in the pursuit on the shelf now? Yeah individual pursuit ambitions have been cast aside for me, team pursuit focus only. I'll do there occasional individual; if there is one on, but there aren't many on the calendar for me this year, just nationals. PEZ: It must be very satisfying for you that you're performing at this level? Yeah it's satisfying for me that's for sure, it's mainly the confirmation that I am actually capable of riding a world class time. PEZ: Do you ride the Hong Kong World Cup? No Hong Kong for me. 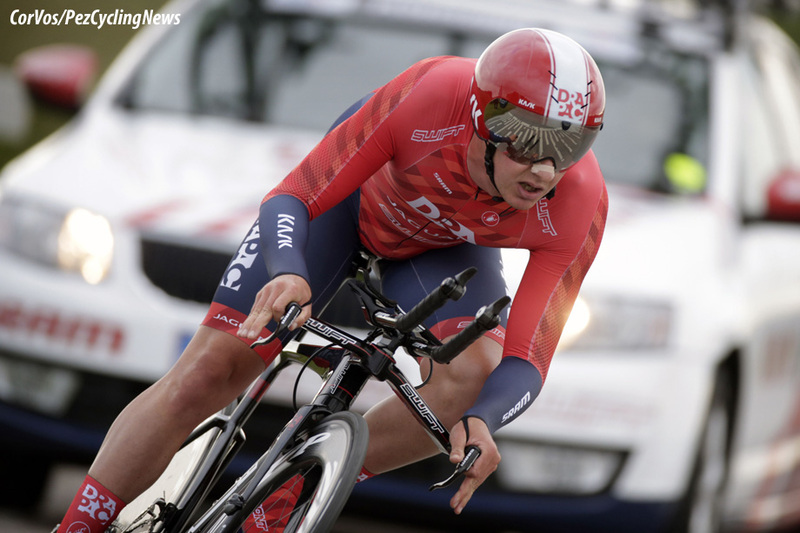 They are sending a development team for the team pursuit, and Campbell and Tommy for the Madison. PEZ: What's the plan between now and The Worlds? No worlds for me this year unfortunately. After changing country there is a stand down period. I'll aim to be there 2020. I'm pinning a number on for New Zealand Cycle Classic which starts tomorrow. Followed by the Track Nationals.